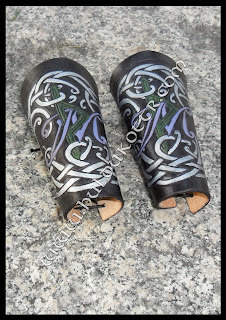 HULDUKÖTTR - Norse and Germanic Art: Bracers for Spain. 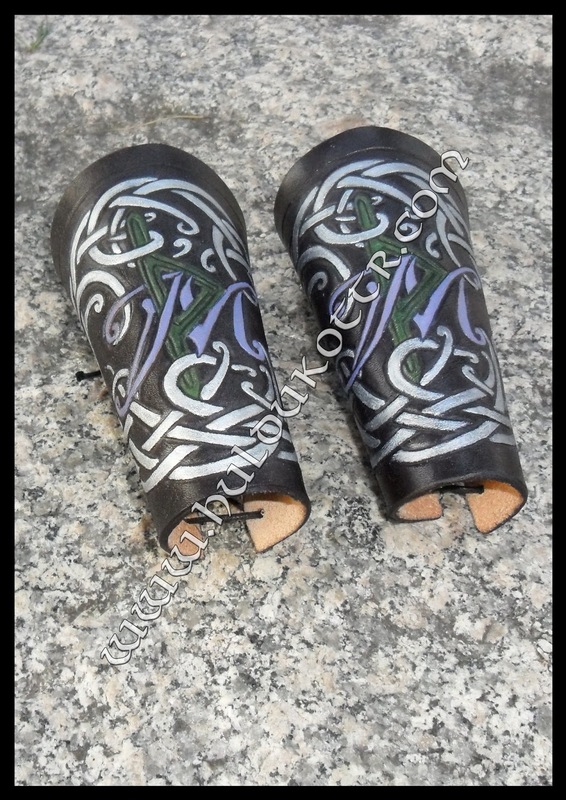 Custom bracers for a Spanish client who wanted unusual colours, her name firts letter and Thurs Rune on it. Own design. Norse leathersmiths, horn carvers, wood workers, and graphic designers since 2009.